D o you ever feel like you need to get away from it all? 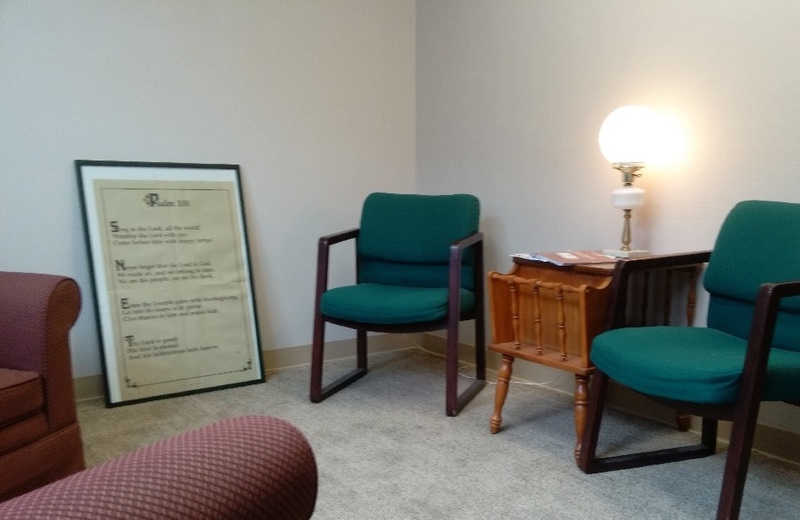 You can take a mini-break to think, read, study, whatever you need for a quiet environment in our Meditation Room. Located on the lower level next to the men’s room, it is furnished with a writing table and chairs. There are also several books about the Psalms and inspirational art work. Soon to arrive are fact finders about the Psalms.